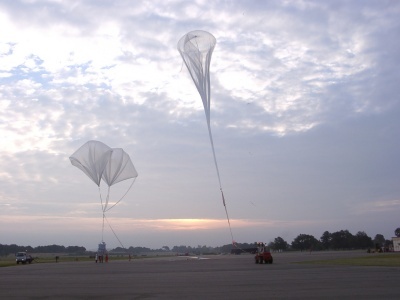 The balloon was launched in the morning of October 2th, 2002 by dynamic method with the help of an auxiliary balloon. During this flight several in-situ measurements (both in ascent and descent) were acomplished measuring the species : CO, O3, CO2, HCl, N2O, CH4, COF2, HOCl, H2O2, NO, H2O, NO2 and HNO3. These measurements were destinated to validate three instruments located onboard the ENVISAT satellite. 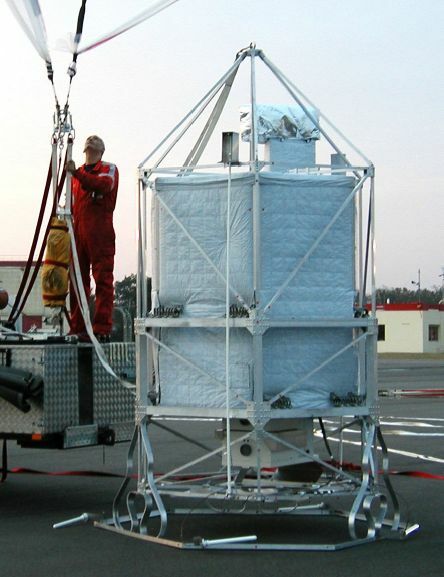 The day of flight was choosed to allow ENVISAT close overpass of the balloon path, but it matched poorly with SCHIAMACHY, fairly well with MIPAS and none with GOMOS (due to the daytime).